The CYGNUS Quasar is compact 2 way High-End Monitor in sealed enclosure, disigned for ultra High End and/or Studio applications. 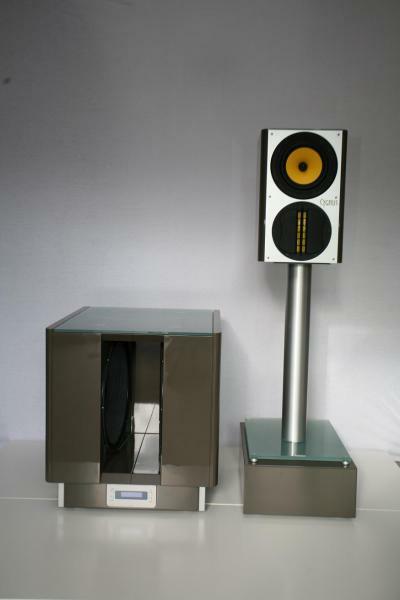 Quasar is delivered with High-End heavy duty stands and external passive crossover in extra cabinet, integrated in the stand. The CYGNUS DiSubX1 is an full Class D active driven Dipol-Subwoofer with integrated 24 bit DSP controlled room-acoustic adaption. The 2.1 Stereo Set easly is upgradeble to an ultra high performance 5.1/7.2 suround systeme.